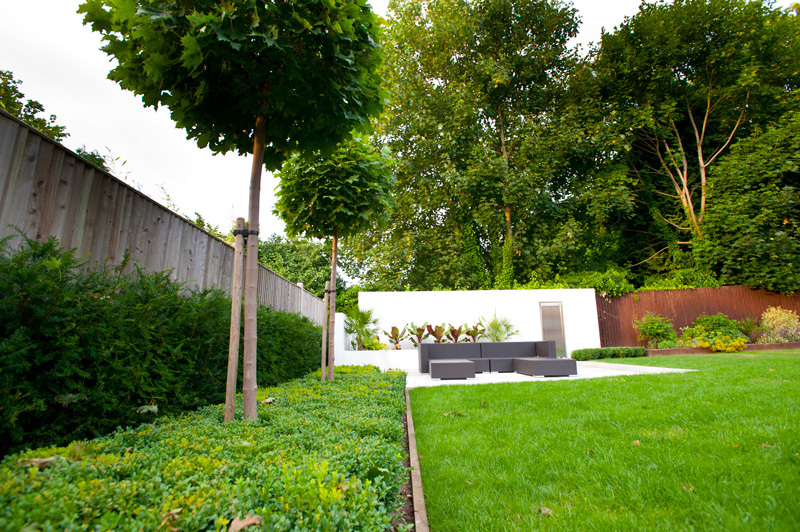 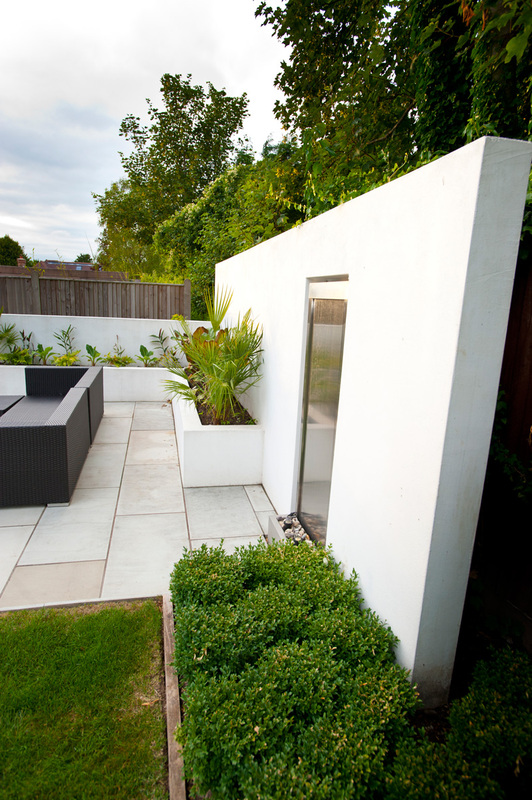 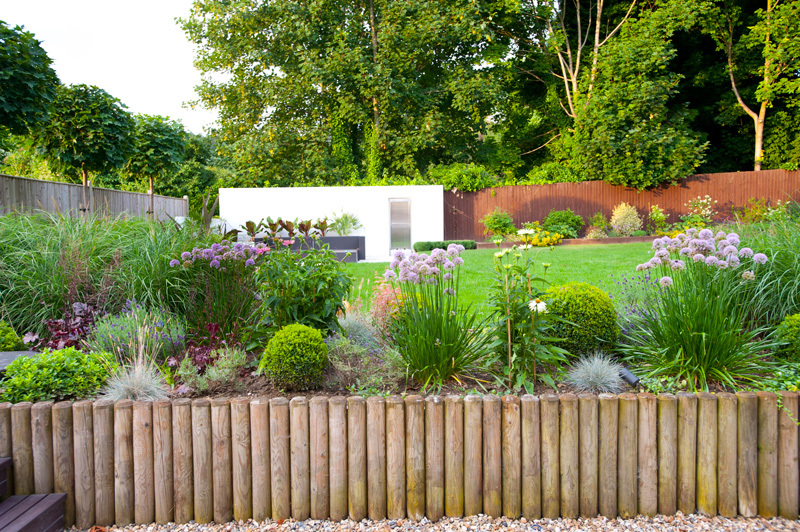 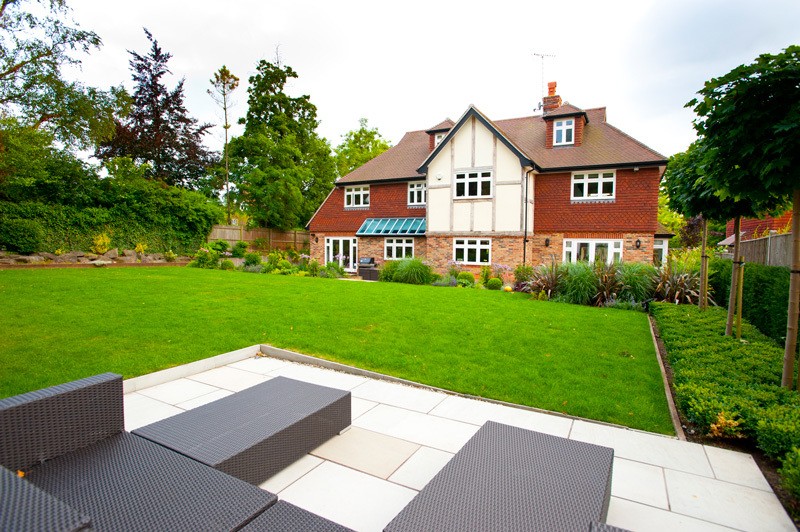 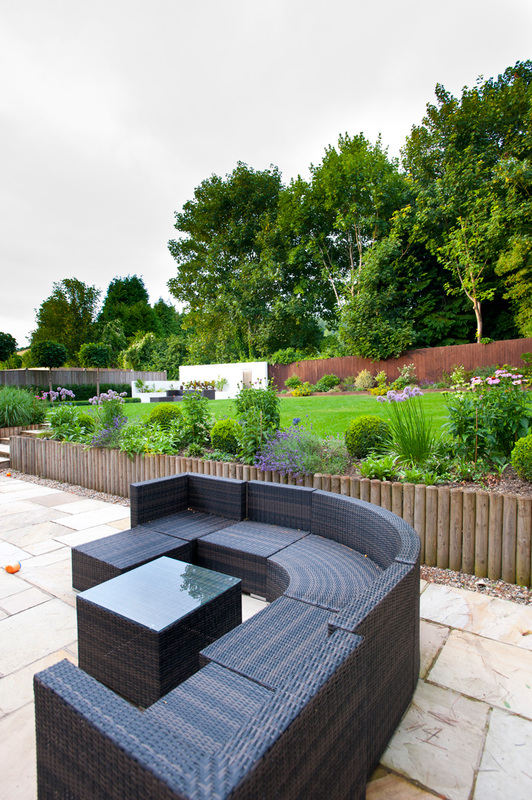 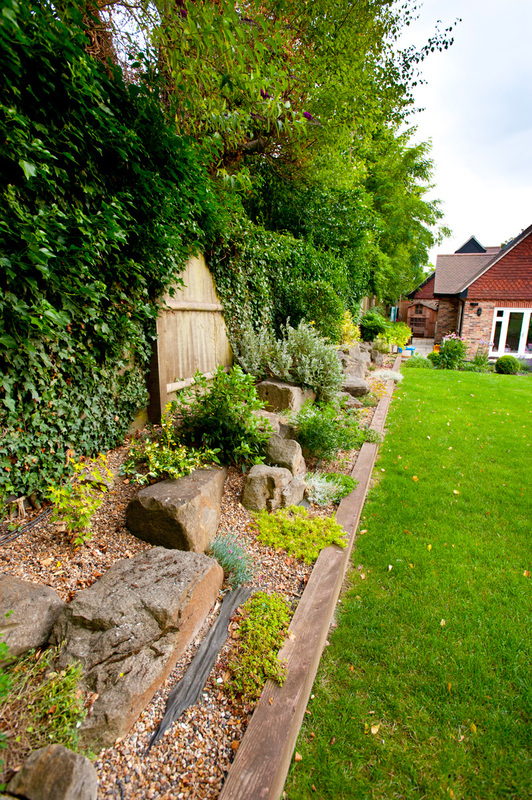 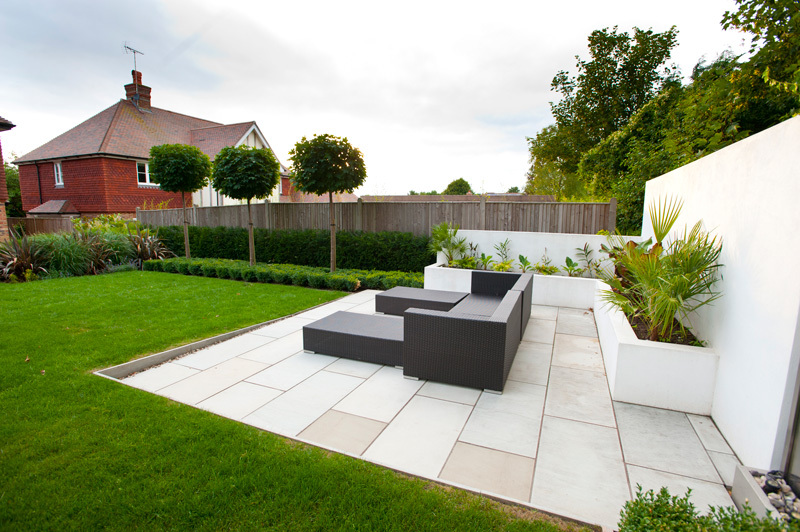 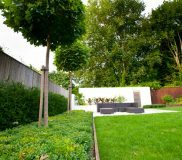 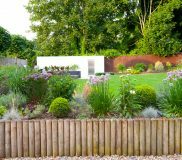 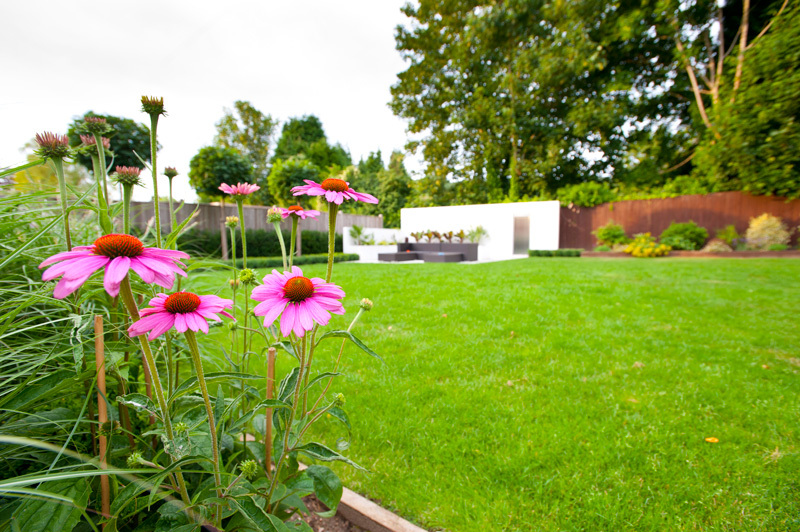 We recently completed both the design and construction of this rear garden to a new property near Sevenoaks. 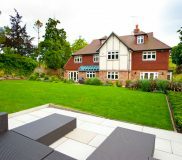 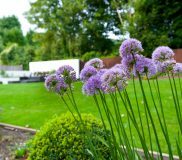 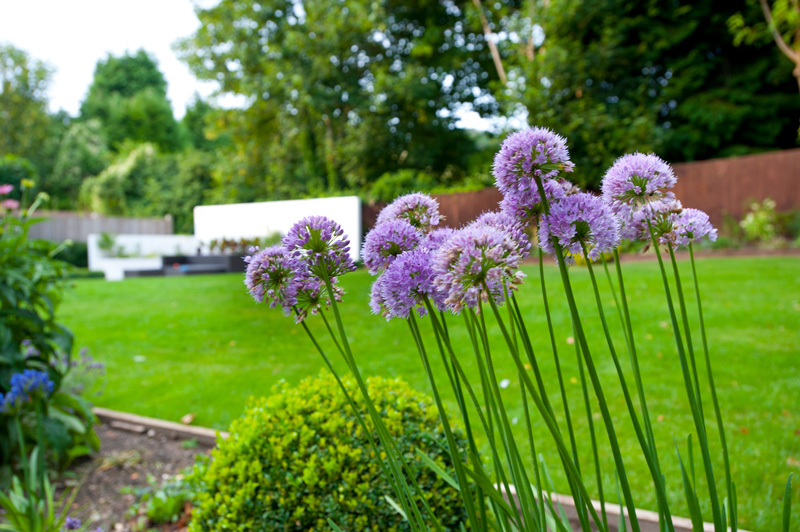 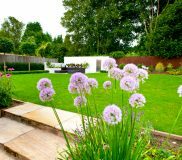 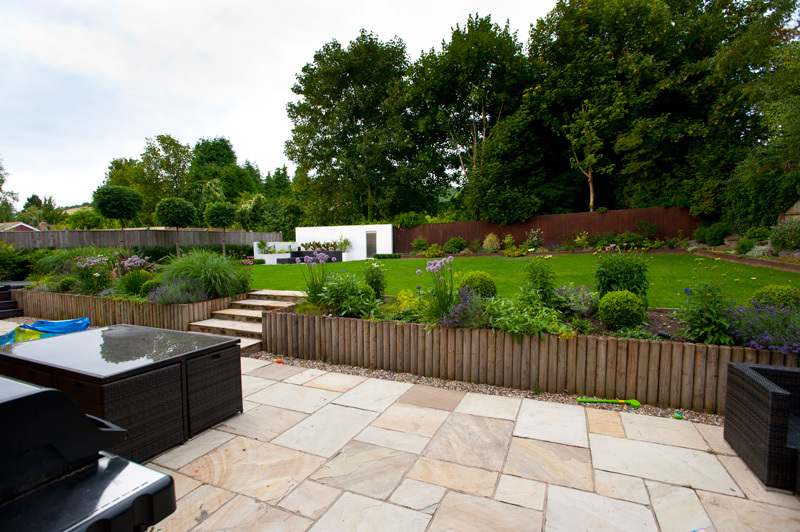 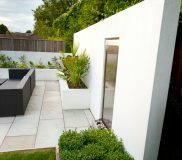 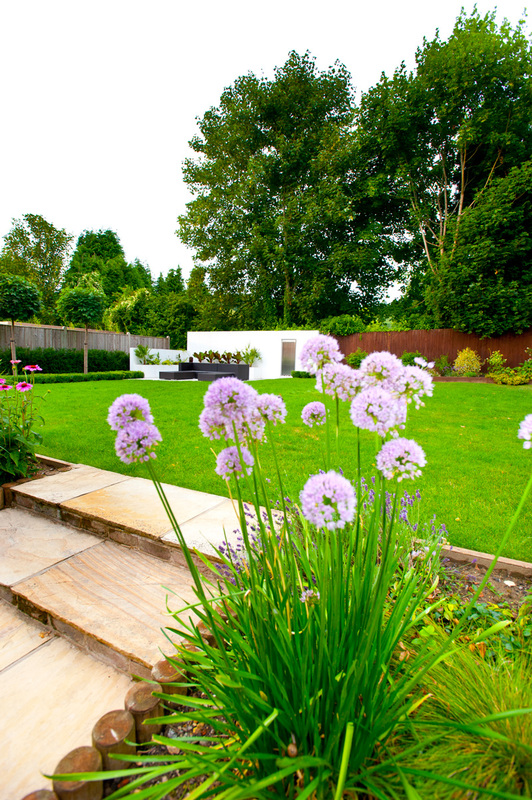 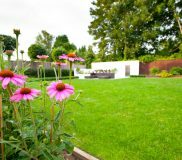 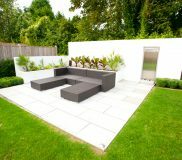 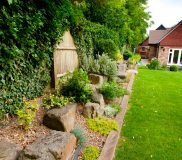 The client required the retention of a large existing lawn, but requested for the placement of a hot tub onto the existing patio and a garden seating area area situated in the corner, for making the most of the Summer sun when its here. 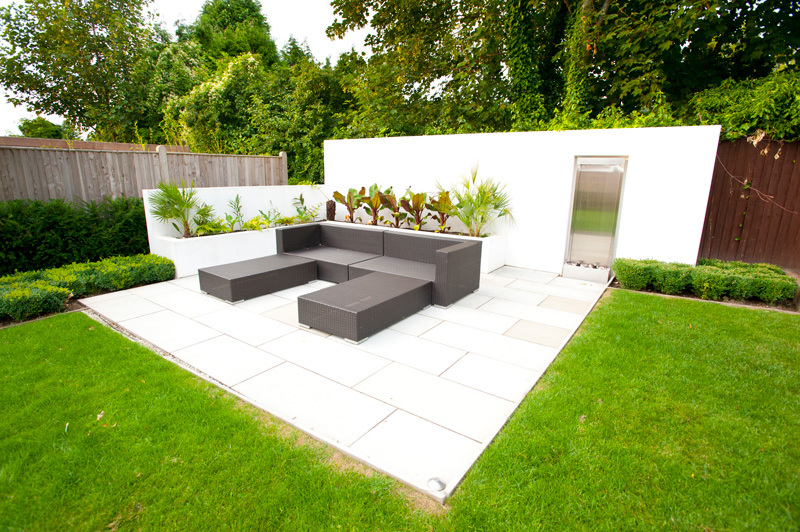 We also added a vertical water feature, extensive planting and lighting and irrigation systems. 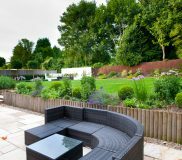 The outdoor lighting looks exceptional during the evening, and allows the client to prolong the evenings in the garden when sat in the main lawn seating area.